Your wedding day is almost upon you — and one of the things that make your wedding the most special is the people you share it with. It would be a shame if some of your favorite people who you want to be there to witness this momentous occasion were late or couldn’t be there at all because they got lost or otherwise had a problem driving to the venue. For this reason, it’s a great idea to arrange shuttle service for guests coming to your wedding. 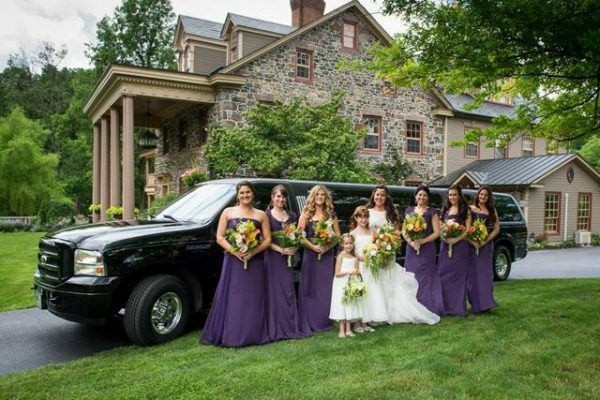 Premiere #1 Limousine Service is the company in Central PA and the surrounding areas to contact for quality wedding transportation for guests on your unforgettable day. By arranging for a Premiere #1 Limousine Service SUV, passenger van or minibus to take your guests from the hotel to the wedding site, you make it much easier for your guests to arrive at the wedding on time. If you have a lot of guests arriving from out of town, this is especially important. You won’t be disturbed by constant calls from different guests trying to figure out the directions and you won’t anxiously be watching the door wondering when your guests will arrive. Everyone knows exactly how to get to the wedding and we’ll make sure they get there on time. Let’s say that you are a West Coast transplant having a wedding on the East Coast. If your entire family is coming from the other side of the country, they will probably be going to considerable expense to get to you. They won’t have cars and will be unfamiliar the area. The least you can do is make sure they don’t have to worry about how to get to the wedding itself. At a wedding, people like to celebrate — and you want your guests to have as much fun as possible on your big day. But some kinds of celebrating and driving don’t mix. You don’t want people who aren’t in any condition to drive getting in their cars after your wedding. When you let Premiere #1 Limousine Service take care of the driving, you don’t have to worry about that. Our drivers are extremely professional and highly-trained. They know how to get your guests to their destination safely. Your guests are free to celebrate to their hearts’ content without your having to worry about them getting home safely. If your wedding is coming up, this is the perfect time to reserve one of our vehicles for your wedding guest transportation. Our rates are competitive, our drivers are highly-skilled and extremely professional, and our vehicles are beautiful and spotless. We would love to be a part of this momentous day! To reserve a vehicle or vehicles for your wedding and your wedding guests, or for a quote on our wedding guest transportation services, contact us today or give us a call at 717-616-8995.